Did you know that the technical meaning of yoga is “union”? When you practice yoga, you achieve just that; a union between the mind, body, and spirit that can have positive healing properties for both the body and mind. You may be envisioning yourself wearing tights and a leotard and decide to skip to the next knock-out stress tip, but trust me, you’d be doing yourself a disservice. 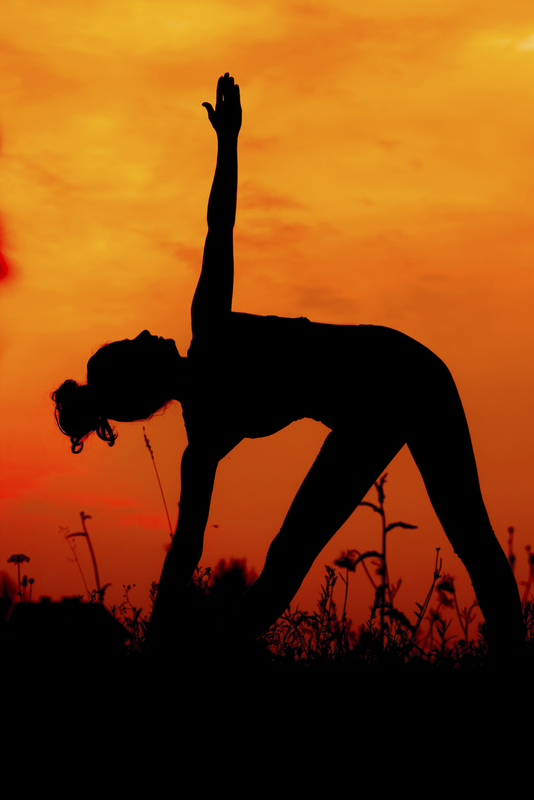 Science proves that yoga has significant health benefits that working out alone cannot achieve. An interesting stress study I came across recently involved 70 US military personnel stationed in Iraq. 35 soldiers practiced yoga at least 2 times per week for three consecutive weeks while the other 35 soldiers served as the control group(did not practice yoga). At the end of the three week period, the 35 soldiers that practiced yoga showed significant decreases in anxiety and improvement in 16 of 18 mental health and quality-of-life factors. Another interesting study examined the prefrontal cortex of eight women who had experienced traumatic events. The prefrontal cortex is the area of our brain responsible for raw emotion and experience. It is common for the prefrontal cortex to have decreased activity after traumatic events as a coping mechanism. The study found that, after engaging in a yoga program, the eight women experience a decrease in severity and frequency of their PTSD symptoms. Yoga is not just an “alternative” practice any longer. Take advantage of this great physical and mental exercise today! If you’re interested in getting started, try looking at your local YMCA or yoga studio for classes. Stroller, C. Greuel, J. Cimini, L., Fowler, M. and Kumar, J. American Journal of Occupational Therapy January/February 2012 vol. 66 no. 1 59-68. Todd, Sarah. Deep Healing Yoga. Natural Awakenings. September 2013. Retrieved from http://www.naturalawakeningsmag.com/Natural-Awakenings/September-2013/Deep-Healing-Yoga/ on October 21, 2013. This entry was posted in "Knock Out Your Stress" and tagged Anxiety, Charlotte North Carolina, coping skills, depression, Mental health, ptsd, stress, Stress management, yoga on October 22, 2013 by katieovercash.